In 2008, Microsoft introduced Transparent Data Encryption (TDE) to its Enterprise and Datacenter Editions of SQL Server. Billed as a way to seamlessly deploy SQL Server encryption, users now had the choice of full database-level encryption, instead of just the previous choices of cell-level encryption (CLE), Encrypting File System (EFS), or Bitlocker. With its rapid deployment, ease-of-use, and enhanced security TDE has been a staple for every version of SQL Server Enterprise Edition (and Developer Edition) ever since. 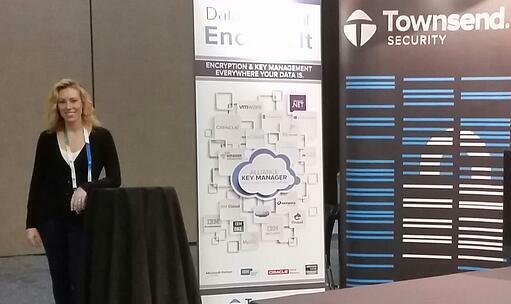 TDE fundamentally is full database-level encryption. It functions at the Input/Output (I/O) level. Any data written into the database is automatically encrypted. Backups are also automatically encrypted. Data in use is decrypted by TDE as they are read by a user or application and stored, in clear text, in memory. Since the data-in-flight is decrypted; TLS or SSH (or now, “Always Encrypted”) should be enabled to protect the data while in motion. Since it is column level encryption, it encrypts only the sensitive information in a table. With CLE, the data is still encrypted even when it is loaded into memory. CLE allows for “explicit key management” giving you greater control over the keys and who has access to them. CLE is highly configurable, giving you a high degree of customization (especially when your applications require it). Queries may be faster with CLE if the encrypted column(s) is not referenced in the query. TDE will always decrypt the entire row in the table. CLE will decrypt the column value only IF it is a part of the data that is returned. So in some cases CLE implementations provide much better overall performance. One of the main disadvantages of CLE is the high degree of fully manual application changes needed to use it. TDE, on the other hand, can be very simple to deploy with no changes to the database, tables or columns required. The whitepaper goes on to note that with CLE performance impacts “are several magnitudes worse when attempting to encrypt an entire database. One sample application with 10,000 rows was four times worse with one column encrypted, and 20 times worse with nine columns encrypted.” TDE, on the other hand, only had a 3-5% average performance impact compared to a non-encrypted database. A case could be made for using CLE in conjunction with TDE as a defense-in-depth strategy. By selectively encrypting columns with CLE, encrypting the full database with TDE, and then managing the separate keys with a centralized key manager; it would ensure that crucial data was protected, even while loaded into memory. But, in general, TDE and CLE are used for different purposes. If you are looking to encrypt a small amount of data, if your application “has custom design requirements,” or if performance is not a much of a concern, CLE may have advantages over TDE. But, if performance is a concern or you would like to avoid manually implementing encryption (normally a time-consuming process) then TDE is the way to go. For more information on both types of encryption and how they relate to Extensible Key Management, visit our Definitive Guide to SQL Server Encryption & Key Management. Microsoft customers attempting to meet security best practices, compliance regulations, and protection of organization’s digital assets turn to encryption of sensitive data in Microsoft SQL Server databases. The easiest way to encrypt data in SQL Server is through Transparent Data Encryption (TDE) which is a supported feature in SQL Server Enterprise Edition. For a variety of reasons, TDE may not be the optimal solution. Microsoft customers using SQL Server Standard, Web, and Express Editions do not have access to the TDE feature. And even when using SQL Server Enterprise Edition, TDE may not be the best choice for very large databases. Let’s look at some approaches to column level encryption in SQL Server. The following discussion assumes that you want to meet encryption key management best practices by storing encryption keys away from the protected data, and retain full and exclusive control of your encryption keys. Starting with the release of SQL Server 2008, all Enterprise editions of the database have supported the Extensible Key Management (EKM) architecture. The EKM architecture allows for two encryption options: Transparent Data Encryption (TDE) and Column Level Encryption (CLE). Cell Level Encryption is the term Microsoft uses for column level encryption. SQL Server Enterprise edition customers automatically have access to column level encryption through the EKM architecture. Encryption Key Management solution providers can support both TDE and Column Level Encryption through their EKM Provider software. However, not all key management providers support both - some only support TDE encryption. If your key management vendor supports Cell Level Encryption this provides a path to column level encryption in SQL Server Enterprise editions. Another approach to column level encryption that works well for SQL Server Standard, Web, and Express editions is to implement encryption and decryption at the application layer. This means that your application performs encryption on a column’s content before inserting or updating the database, and performs decryption on a column’s content after reading a value from the database. Almost all modern application languages support the industry standard AES encryption algorithm. Implementing encryption in languages such as C#, Java, Perl, Python, and other programming languages is now efficient and relatively painless. The challenge that developers face when implementing encryption at the application layer is the proper protection of encryption keys. Security best practices and compliance regulations require a high level of protection of encryption keys. This is best accomplished through the use of an encryption key management system specifically designed to create, securely store, and manage strong encryption keys. For developers, the primary challenge in a SQL Server encryption project is integrating the application with the key manager. Many vendors of key management systems make this easier by providing Software Development Kits (SDKs) and sample code to help the developer accomplish this task easily. Another approach to column level encryption involves the use of SQL Views and Triggers. Leveraging the use of User Defined Functions (UDFs) the database administrator and application developer can implement column level encryption by creating SQL Views over existing tables, then implementing SQL Triggers to invoke user defined functions that retrieve encryption keys and perform encryption and decryption tasks. This approach has the advantage of minimizing the amount of application programming that is required, but does require analysis of the SQL database and the use of User Defined Functions. Database administrators and application developers may be able to leverage the SDKs provided by an encryption key management solution to make this process easier. One promising new technology recently implemented by Microsoft is SQL Server Always Encrypted. This feature is new with SQL Server 2016 and can work with any edition of SQL Server. It is a client-side architecture which means that column data is encrypted before it is sent to the database, and decrypted after it is retrieved from the database. While there are many constraints in how you can put and get data from SQL Server, it is a promising new technology that will help some customers protect data at the column level. You can expect to see support for Always Encrypted being announced by encryption key management vendors in the near future. As Microsoft customers and ISVs move to the Azure cloud they are taking their SQL Server applications with them. And it is very common that they take full implementations of SQL Server into their Azure virtual cloud instances. When SQL Server applications run in a virtual machine in Azure they support the same options for column level encryption as described above. This includes support for Cell Level Encryption through the EKM Provider architecture as well as application layer encryption. As in traditional IT infrastructure the challenge of encryption key management follows you into the Azure cloud. Azure customers should look to their encryption key management vendors to provide guidance on support for their key management solution and SDKs in Azure. Not all key management solutions run in Azure and Azure is not a supported platform for all vendor SDKs. In the Azure cloud Microsoft offers the SQL Server database as a cloud service. That is, Microsoft hosts the SQL Server database in the cloud and your applications can use this service rather than a full instance of SQL Server in your cloud instance. Unfortunately, Azure SQL Database only supports Transparent Data Encryption through the EKM Provider interface and does not yet support Cell Level Encryption. It also restricts encryption key management to only the Azure Key Vault facility requiring you to share key custody with Microsoft. Column level encryption at the application layer is fully supported for Azure SQL Database. As in the traditional IT infrastructure your C#, Java, and other applications can encrypt and decrypt sensitive data above the database level. Again, check with your key management solution provider to insure that application level SDKs are supported in the Azure cloud. The Amazon Web Service (AWS) implementation of cloud workloads parallels that of Microsoft Azure. You can deploy a full instance of SQL Server in an AWS EC2 instance and use the features of SQL Server as in traditional IT infrastructure. Amazon also overs a database service called Amazon Relational Database Service, or RDS. The RDS service offers multiple relational databases including SQL Server. As with Azure there is no support for key management solutions other than the Amazon Key Management Service (KMS) requiring a shared implementation of key custody. As you can see there are many ways to implement column level encryption in SQL Server and use good encryption key management practices. I hope this helps you on our journey to more secure data in SQL Server. From Developers to Database Administrators, we have met another amazing group of people at the PASS Summit 2014. Over 5,000 members of the Professional Association for SQL Server converged on Seattle, WA and we got to talk about security with people from all over North America and from as far away as Norway, Spain, Australia, Colombia, Germany, and even Iceland. We spent most of our time talking about the importance of encrypting sensitive data, and about using an encryption key management solution to protect encryption keys away from the database. There is a huge need to meet compliance regulations, and with all the options now available (Hardware appliance, Cloud HSM, VMware virtual environment, and cloud instances in AWS or Azure) there is a solution for each scenario we encountered. If you are working with SQL Server, we hope you are familiar with the SQL Server Worldwide User Group (SSWUG). If you don’t know about them, please allow me a moment to introduce you to Stephen Wynkoop who is the founder and editor for SSWUG.org. This website is a wealth of information about everything you would want to know about SQL Server (and they are even branching out to other database systems like Oracle and IBM DB2). The emphasis at SSWUG has been on SQL Server and you will find a large number of articles, blogs, videos and other content on wide variety of topics related to it. Stephen features weekly video programs about the database and IT world, webcasts, articles, online virtual community events and virtual conferences several times a year. He is a Microsoft SQL Server MVP and the author of more than 10 books, translated into at least 7 languages. Stephen has been working with SQL Server since the very first version, with a prior experience in database platforms that included dBase and Btrieve. SSWUG has dedicated a section of their web site to the SSWUGtv Security Edition “Townsend Security Series” where they present videos of Stephen and our own industry expert, Patrick Townsend, discussing security topics ranging from securing data with encryption and key management on SQL Server (not just with EKM) to protecting data in the cloud. Additionally, they post a new security segment just about every week on their homepage, so there is always something fresh. A few of the sessions include topics such as What top industries do Hackers focus on and why? and Cross-platform security: How do you have a hybrid environment and keep it secure? Stephen and Patrick have a great time recording these videos, and if you haven’t seen any yet, I urge you to check them out. In addition to all the great content on the SSWUG website, SSWUG also holds virtual conferences and Summer Camps that are great online resources for developers. You are also invited to download this latest white paper, authored by Stephen Wynkoop, on understanding options and responsibilities for managing encryption in the Microsoft Azure Cloud.